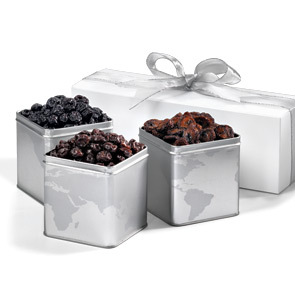 If you or someone you know loves cherries (and who doesn't), we have the perfect way to enjoy them - with this trio of handsome tins elegantly gift-boxed. 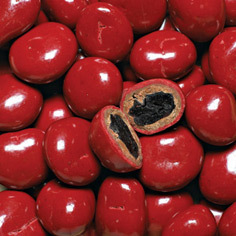 Each 12oz tin comes filled with one of our irresistible cherries: tart Montmorency, meaty Bings and Only 100% Bings. Truly exceptional. 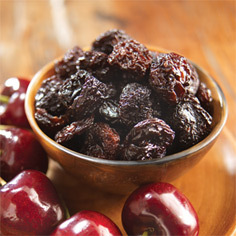 As always, our all-natural dried fruit is unsulphured for your enjoyment. 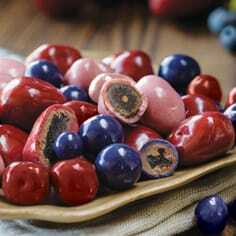 Shop Meduri World Delights for even more delicious Dried Fruit Gifts.